Voice message is an excellent communication tool. Voice messaging service can actually do wonders for a company as well as for its clients in India and overseas. smscluster.com is Voice Message Broadcasting Service Provider Company from India. Voice message uses an automatic voice dialler and send voice messages to various target mobile numbers. Our SMS web panel will allow the User to send out single SMS, scheduled SMS, voice SMS in bulk, and it is also linked with the corporate website of the user. The user can similarly log into the system and manage their address book features. 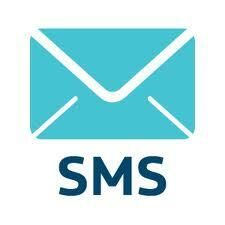 Our SMS web interface is highly interactive and allows complete user management control. We offer a readymade fully branded white label Voice SMS interface and it is beginners friendly. For operate that Voice SMS solution You require no technical expertise, no connectivity integration with global mobile networks and no hiring of any development resources just start using our Voice SMS panel. The reseller can extend their existing commercial relationships with clients to include the ability to send out Voice messages. A Voice SMS reseller can sell the sms at their own price. We always try to offer Voice SMS at an affordable price. We are one of the most cost effective Voice SMS provider in India. For enquiries on smscluster.com Voice SMS Reseller program, send an email to sales@smscluster.com or fill up the Enquiry Form mentioning your SMS requirements.